ROME, NOV. 4, 2008 (Zenit.org).- According to his own testimony, the Pope who declared the dogma of the Assumption saw the “miracle of the sun” four times. This information is confirmed by a handwritten, unpublished note from Pope Pius XII, which is part of the “Pius XII: The Man and the Pontificate” display. The display opened in the Vatican to the public today and will run through Jan. 6. 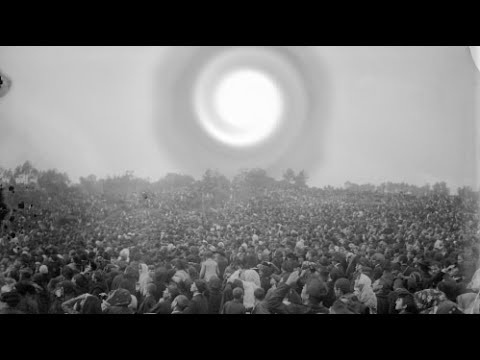 The miracle of the sun is most known as the episode that occurred in Fatima, Portugal, on Oct. 13, 1917. According to the Fatima visionaries, Mary had said there would be a miracle that day so that people would come to believe. Thousands had gathered at the site of the visions, and the sun “danced,” reportedly drying instantaneously the rain-soaked land and spectators. Pius XII’s note says that he saw the miracle in the year he was to proclaim the dogma of the Assumption, 1950, while he walked in the Vatican Gardens. He said he saw the phenomenon various times, considering it a confirmation of his plan to declare the dogma. Tornielli told ZENIT that there was always a close link between the life of Eugenio Pacelli and the mystery of the Virgin Mary. As Pope, in 1940, he approved the Fatima apparitions, and in 1942, consecrated the entire world to the Immaculate Heart of Mary.